Tragedy struck in Okwelle in the Onuimo Local Government Area of Imo State on Friday, as three children of the same parents, aged five, three and two were found dead inside a parked vehicle in the area. The death of the siblings, The Punch learnt, has put the community in a mourning mood, as sympathisers thronged the area. The names of the children were given as Saviour Nweke, five; Salvation Nweke, three; and Precious Nweke, two. Confirming the development to our correspondent, the state Police Public Relations Officer, Andrew Enwerem, a Superintendent of police, confirmed that the boys, who were from the same parents, were found dead inside a stationary vehicle in the village. He, however, added that the state Commissioner of Police, Chris Ezike, had ordered a thorough investigation into the matter, noting that policemen who found the lifeless bodies of the children had deposited them at a mortuary. The PPRO said, “We received a report that three children of the same parents, Saviour, five; Salvation, three; and Precious, two; went missing. Unfortunately, the boys were found dead in a stationary vehicle in the village after a search party was deployed. Suspicion has it that they entered inside a parked vehicle, locked themselves and didn’t know how to unlock it. They apparently suffocated due to the heat. 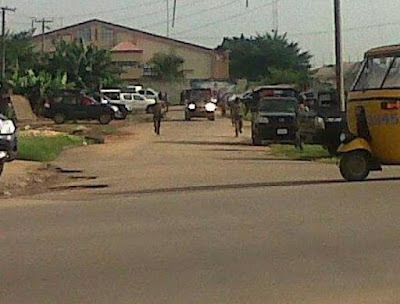 The corpses have been evacuated to a mortuary in the area by the police. A source in the village told our correspondent that the children went out to play when their parents went out. The source said upon return, their parents didn’t know their whereabouts as they began looking for them, but to no avail. A search was said to have been declared by the police, and that some policemen were equally involved in the search, until their bodies were found in the stationary vehicle.